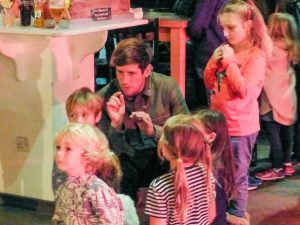 With the Saturday Kids Club wrapped up for the season, our attention now turns to the small matter of raising funds towards the building of the clubhouse. 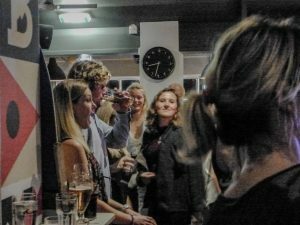 The first initiative of the winter was an End-Of-Season party at The Balcony on 12th November. 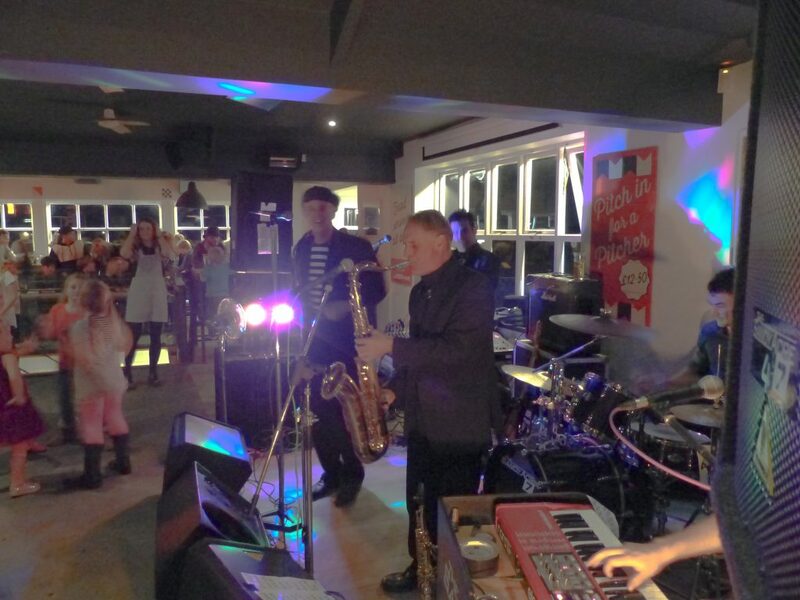 We were honoured to have the Sandy Acre Seven deliver some spanking dance tunes which had the floor filled and the place rocking from their opening number to the very end of their set! There was a great turnout from the Saturday morning kids and their parents, and fine support from the wider community, helping to fill the Balcony as well as filling our collection boxes and the raffle ticket sales. 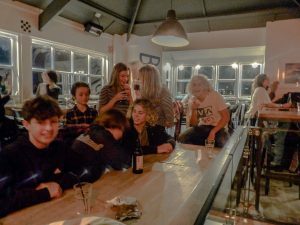 After the band had finished and the kids ( and some of we older hands) had disappeared towards our beds, the fun continued long beyond midnight as the town’s regular Saturday night revellers came to join the party. A great night was had by all, and the club coffers were swelled by over £2000 in the process! 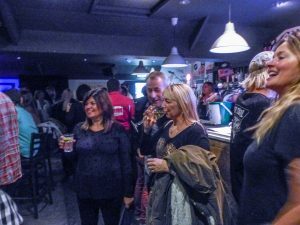 Thanks to The Sandy Acre Seven for bringing their special party vibe, thanks to The Balcony Bar and St Austell Brewery for the hospitality. 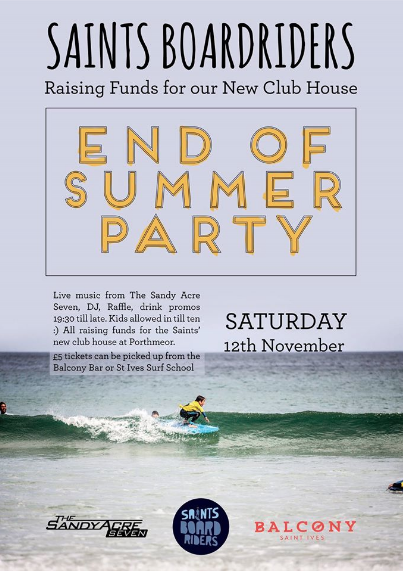 Further thanks are extended to to all the people who gave us raffle prizes; Porthminster Restaurant, The Fire House, Tregenna Castle, The Garrack, Howdens, R&J Supplies, Michelle Footman, Holly Kearey, Alder, Good Folks Barbers, and Burdett Wines. Also thanks to our doormen Emma and Rebecca (no one would mess with them) and all the other guys and girls who helped on the night. And finally thanks to everyone who came and gave generously. We have a long way to go on the fundraising front, so please watch out for our next extravaganza and be ready to come and help us realise our dream!